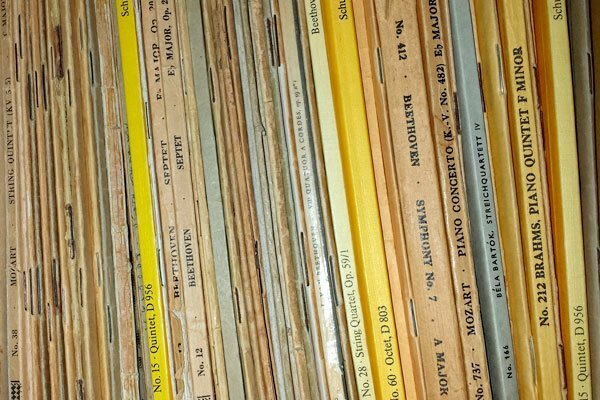 The PlayScore sheet music scanner takes traditional sheet music scanning to the next level, using the latest techniques in Optical Music Recognition. 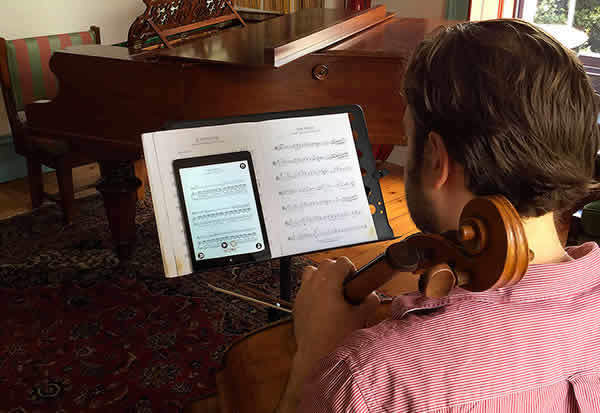 The App That Reads Sheet Music. Mute any combination of staves, listen to any combination of parts. Want to build score recognition into your app? 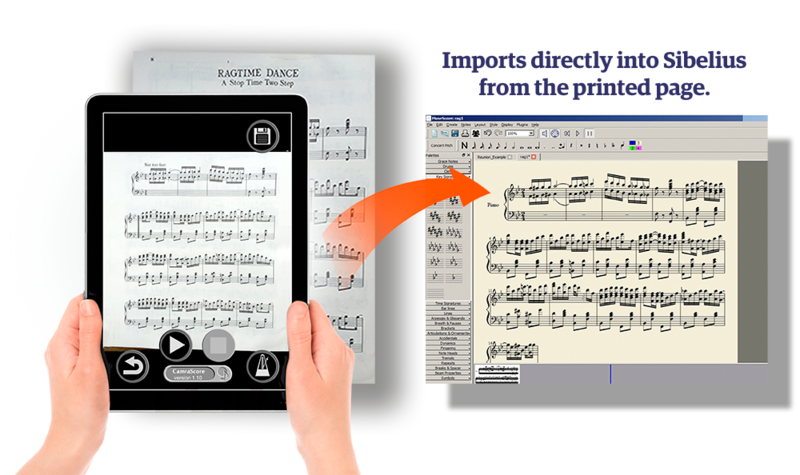 PlayScore understands all the symbols of standard music notation and can play all kinds of sheet music and scores. PlayScore is the Ideal for music teachers because using PlayScore, music students can hear assignments at home as they should sound. And whatever the instrument, piano, guitar, violin or voice PlayScore lets you focus on particular passages and phrases. 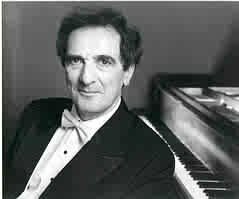 PlayScore is the ideal practice accompanist. 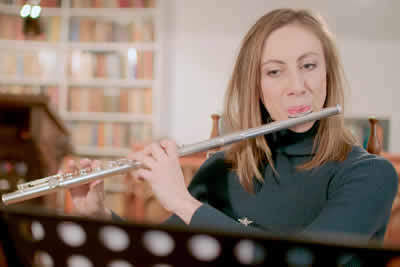 If you play *an* instrument like an violin or the flute, you can simply take a snap of your music and have PlayScore play the accompaniment, fast or slow while you practise your own part. 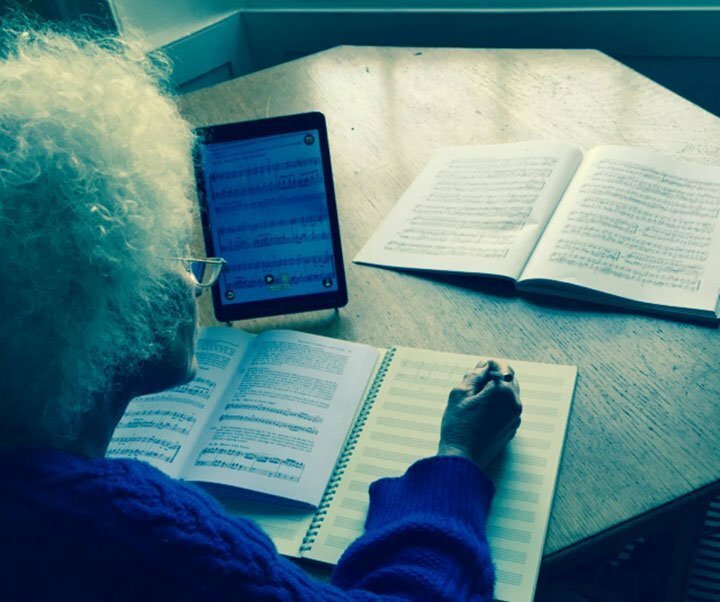 PlayScore can help you practise difficult passages and rhythms, and you can play along to PlayScore at any tempo, repeating tricky passages as often as you need. Select or mute any combination of staffs. Have PlayScore play just your part (eg alto), or everything except your part so you can sing along and hear the whole effect. Must be heard to be believed. PlayScore is perfect for teaching music theory. Beginning with Associated Board Grade I right up to Grade VIII, just snap any music exercise for students to check pitch and rhythm in their own study time. 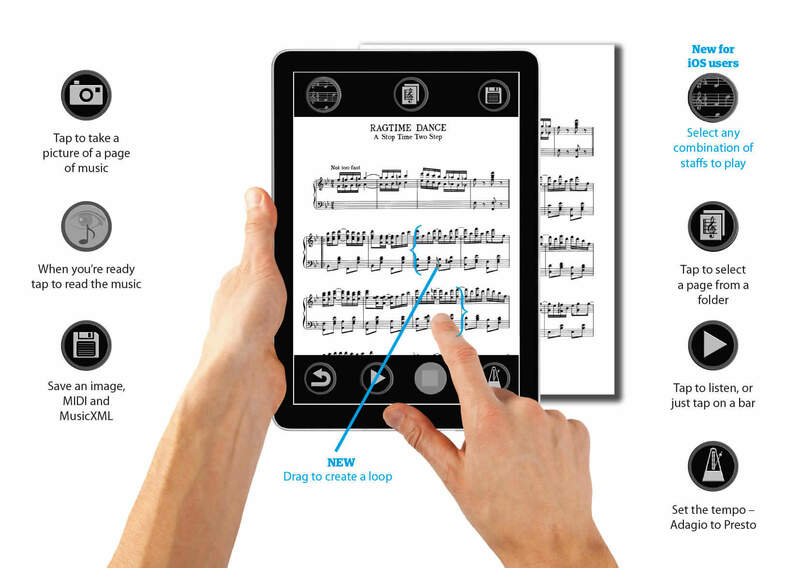 PlayScore will pick out musical examples from a book, so you can play back exercises, stopping and starting as you go. From a file, from the web, from your own library, from anywhere! You can snap in portrait or in landscape. You can capture little music snippets from a book. And you can even take a photo of a tablet or a Mac/PC screen. Because PlayScore exports MusicXML as well as MIDI, you can open your scores in virtually any notation program, on the Mac and PC as well as on your favourite device. 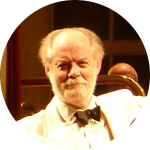 Programs such as Sibelius, Finale, NotateMe, SeeScore and many more all support MusicXML. 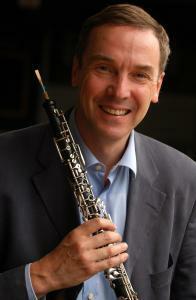 This means that as well as playing your score you can edit it, transpose it and arrange it for new instruments. Even print out parts. This is one app I won’t change! – Really amazed at what they detect! A wonderful App and really useful for students. PlayScore just might be the most impressive app in the entire App Store. Up until now optical music recognition was very unreliable, even on a high powered PC. PlayScore is a game changer. Whenever I show it to musicians their jaws drop in disbelief. It not only works with sheet music, it works with images off of a monitor as well. This latest version is even 100% accurate with screenshots from my new IPad Pro. This is a must have app for every musician.